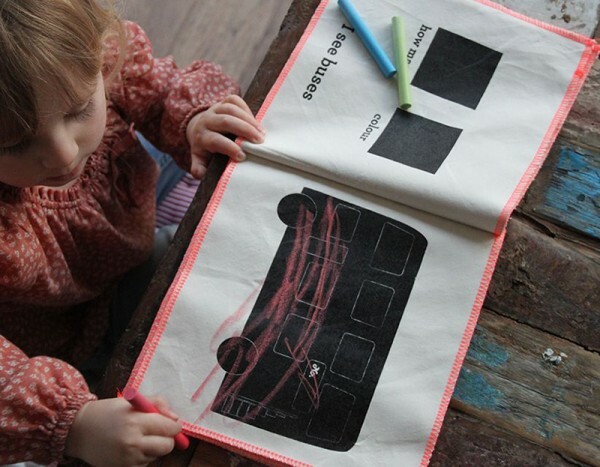 We love a good travel toy, and this washable, roll-up-able chalkboard book from Little Mashers is brilliant. 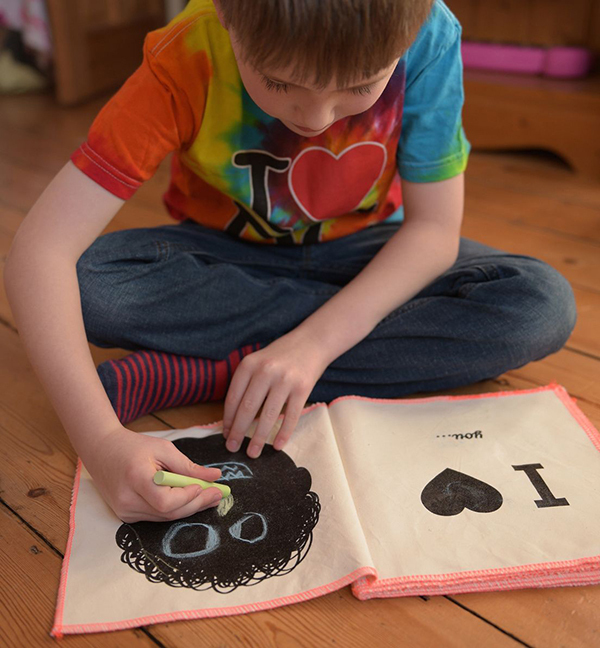 The Chalk and Talk chalkboard book (£20) is made from cotton, and screen printed by hand with special chalkboard ink so kids can draw and erase to their little hearts’ content. Each book has a pouch at the back to hold chalk, and there are only eight pages, which means the book is lightweight and will fit easily in your bag. The “I love…” book has eight scenarios that get kids talking about the things they love. You know, stuff like eating, dreaming, sitting very quietly for the duration of international flights. Each page of the travel version has a vehicle to colour and decorate. We can imagine all kinds of times when this book would come in handy. Give it to your older child to occupy him while you’re feeding the baby. Give one to each of your twins during road trips to stop them swatting at each other from their carseats. Word to the wise though: don’t lose the chalk. Chalk and Talk is available online and ships to Australia for £3.50.